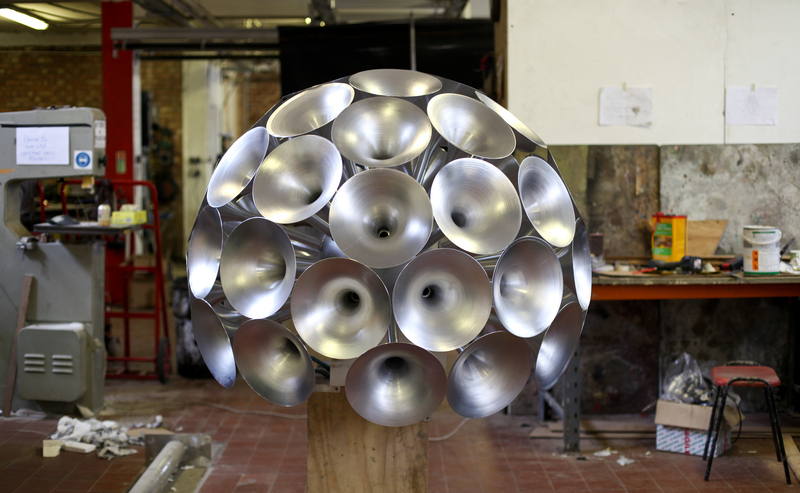 Sound Matters considers the connections between craft practice and sound art. Seven contemporary works have been selected to illustrate ways in which these two distinct practices can collide. Exploring the physicality of sound, the works are characterised by both their sonic properties and materiality. The makers and artists represented in this exhibition demonstrate how an engagement with sound also implicates an engagement with matter. Drawn from across creative disciplines, each work is indicative of a different approach: looking to traditional craft heritage and processes such as weaving and woodturning to create new sound forms, playing with shared technologies and language and revealing the sounds of materials. Sound Matters is produced by the Crafts Council with David Toop, Professor of Audio Culture and Improvisation at University of the Arts London, as curatorial advisor, and with exhibition design by Faudet-Harrison, Lecturers at Kingston University.